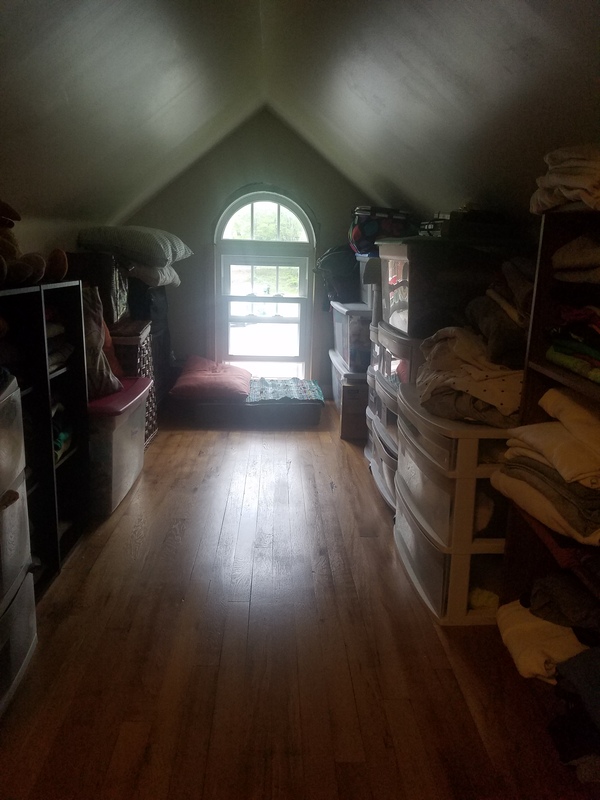 In our house its called The Dog House, a dormer in our attic bedroom that is cram-packed full of STUFF! Linens, seasonal clothing, the kids’ childhood trinkets and baby clothes I can’t bear to part with….you name it; it’s found in the Dog House. Every home has one, unless you are a total minimalist and then you have no idea what I’ve been posting about anyway! I have learned in this process that control is the key word. Getting organized makes me feel less chaotic and more in control of our house and also our free time. I am far from a neat freak but these unorganized and out of control areas in our home linger on my mind and burden the scared free time I have with my family. I will admit that this one has taken me a few days, make that weeks, to complete. I needed some organizational tools (i.e. plastic bins and drawers) to help wrangle this mess and this task required several trips to our local donation center and landfill. When we first remodeled our bedroom 6 years ago I had great intentions of my husband building storage benches down the sides of the walls for a neat and clean look…never happened and may not in the future. That doesn’t mean that I can’t take control of this catastrophe! The questions I had to ask myself when tackling this endeavor included: “Have I used this in the last year?” “Do I really need to keep this forever” and “How many ratty old sweatshirts does a girl really need? 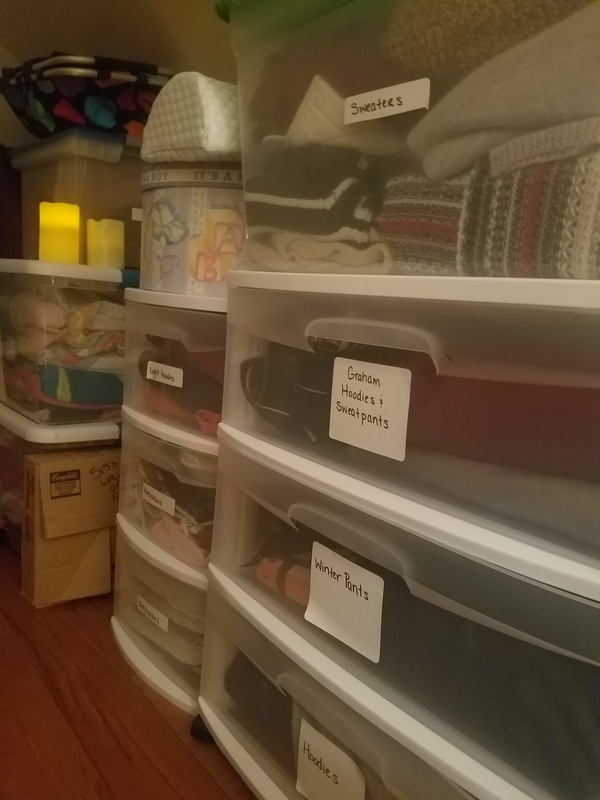 I did give in and kept an entire plastic tote of “craft” supplies and bits of scrap fabric….you never know, I may find myself becoming a Pinterest or Etsy crafter one day! Or at least sew some stuff together to give out as lame Christmas gifts! The result: An organized space that still functions to house our storage and junk but with much less stress! And an actual “dog house” space in our bedroom for Polly to lounge in front of the window!